Practice each day makes fear of word problems go away! That extra practice is the gift you’ll give each of your students with this workbook, which offers one word problem for each day of the school year. 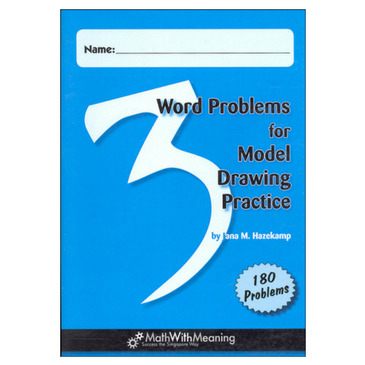 Perfect for practicing model drawing, or for supplementing any math program with additional word problems. Word Problem Solution Key (Levels 3-4) sold separately.